I just received a notice about a posting on Dr. Erik Ringmar’s blog Too Many Mangoes. The post is ostensibly about academic lethargy in Taiwan. Dr. Ringmar points to a lack of accountability to the Ministry of Education for the vast sums of money they have recently been handing out. As I point out in my comment to the post, I am a little uncomfortable with the whole thing. Only a month ago, I was writing about a Canadian professor, Dr. Denis Rancourt, who refused to follow any instructions from his employer, the University of Ottawa. Dr. Rancourt’s refusal to do anything other than what he wanted to do was widely interpreted as an issue of academic freedom. Of course I understand what Dr. Ringmar is trying to say and completely agree with him. But I am very uncomfortable with the implications of all this. Professors in Canada ignore their employers and define their own responsibilities – it’s academic freedom. In Taiwan, it’s academic irresponsibility. Why should the relationship between a professor and his professional responsibilities be defined differently because of his or her nationality? Apparently, Google is still picking up old versions of posts about Anaheim University. I am reposting this in an attempt to assure that readers get the most current information about the school’s accreditation. the school had to accept sponsorship from a liquor company for this year’s National Intercollegiate Athletic Games because it was short NT$60 million (US$1.8 million) and could not find other sponsors. “inappropriate,” adding that it was the position of the ministry that students should stay away from alcohol. “Although schools are required to raise funds by themselves, they should nevertheless do so in an appropriate manner,” Lu said. “After all, it’s not like schools are private businesses,” Lu said. Personally, I’m a little surprised by Assistant Minister Lu’s reaction. Of course his attitude is completely consistent with the historical interpretation of schools. But it is widely known that universities in Taiwan are underfunded in comparison with those in highly industrialized states. As I reported here, faculty salaries are at the same level as those found in India. The current trend toward forcing financial independence on schools has only made the matter more serious. The Ministry imagines us streamlining our budgets or the emergence of all kinds of innovative ways of getting our hands on cash. NTU came up with one of these, and it was only time until this happened. Anaheim University, based in Anaheim, California is a nationally accredited university offering online TESOL, business and sustainable management programs, including a 15-week online TESOL certificate developed by Anaheim University’s Dean of the Graduate School of Education Dr. David Nunan. The online MA in TESOL faculty is made up of 5 renowned linguists including its Dean Dr. David Nunan and Chair of the Graduate School of Education Dr. Rod Ellis along with Professors Kathleen Bailey, Ruth Wajnryb and Martha Cummings. Everyone agrees that post-secondary education should be available and widespread and that this is necessary for a modern society. But just how widespread should it be? Should virtually every citizen have access to a post-secondary education? This was the topic of a post on the blog Higher Education Management addressing a recent statement from the Obama Administration that, in the words of the President himself, “…by 2020, America will once again have the highest proportion of college graduates in the world. This rapid increase in university attendance has not been embraced by the Taiwanese middle-class. Most educated in the previous generation would have studied in an elite system that used university education as a reward for government obedience. As such, the rate of admission to university was extremely low. But the point I want to express in this post is that Taiwan’s current rate is actually not at all out of line with that of other highly industrialized states. – 20.7 per cent registered later (by March 2008) or elsewhere, including 4.4 per cent at public post-secondary schools, 6.9 per cent at BC private post-secondary schools, 6.2 per cent at post-secondary institutions elsewhere in Canada, 1.4 per cent at post-secondary schools outside Canada and 1.3 per cent in adult basic education. – 6.9 per cent registered at B.C. public post-secondary institutions for fall 2007. So of the 2006 graduating class, 78.4% eventually ended up at some sort of post-secondary institution. 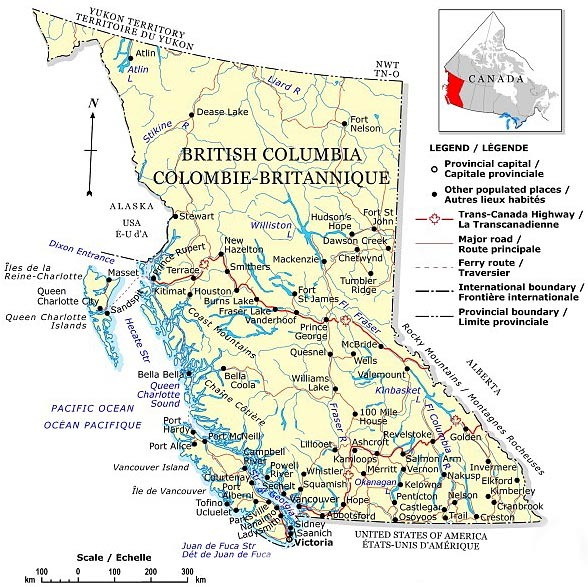 The entire report , which is entitled Where Did They Go?, as well as other interesting information about education in BC, can be downloaded from this website. While Taiwan’s situation may not be that much different from other similar economies, it is unclear exactly what all this means. The situation in Taiwan grew from economic necessity, but political factors have been a major part of why things took on their current appearance. Managing Taiwan’s growing number of unemployed university graduates has become a major political issue in the current economic downturn, but this has had almost no impact on the belief that university is good and that your child has to have a seat in a university. …many people find the idea of expanding the number of college graduates very appealing. And its appeal is not based solely on ‘rational’ notions of productivity improvements and the like. Its appeal is also cultural. We like the idea of more people going to college because it taps into a collective sense of upward mobility.College for all” may be the knowledge economy’s “A chicken in every pot and a car in every garage” (Herbert Hoover, 1928). …is a publicly funded research institute, based in Hong Kong, and established in 1991. A branch office has also been set up in Taipei. The CEFC’s mission is to explore the political, economic, social and cultural developments in the contemporary Chinese world (China, Taiwan, Hong Kong, Macao, etc. ).Besides organizing seminars and international conferences, the CEFC publishes China Perspectives (sister publication of the French-language Perspectives chinoises), a quarterly entirely dedicated to the study of the contemporary China. Jean-François Huchet is currently the director. Recently, my friend Ann Heylen spoke at their 2009 lecture series about her research on Dutch Formosa. Ann and I are co-authoring the forthcoming book volume Understanding Taiwan: From Colonialism to Democracy scheduled to be released by Harrasowitz Verlag early next year. You can listen to an audiofile of her presentation here. I also recommend listening to the presentation of Jens Damn of the Freie Universität in Berlin located just underneath Ann. Jens’ presentation is a more complete version of the paper he gave last year at Asia University. The paper was part of a panel on “The Narrative of Taiwan in Globalization” that included papers by Ann Heylen and me, as well as Dr. Lynn Scott from the English Deprtment at Fu Ren University. A while back, I posted a comment on the blog Global Higher Education to this post by guest writers Moshidi Sirat and Ooi Poh Ling. The main point of the post is that local education systems in developing economies have been heavily influenced by the major Western powers that influenced their histories. For example, education in Singapore, Malaysia, and Hong Kong have all had strong British influences. My reply was that in some states, like Taiwan, local education systems have developed under local government control to serve their military or authoritarian needs. As democracy has been established, these states have become stuck with educational institutions that don’t quite fit into their new globalized world. As such, Western institutions can serve as models for how to better structure schooling. This is not the first time in history that powerful global trends have shocked Asian states into restructuring themselves. Almost 150 years ago, dramatic changes shocked Japan from a feudal state into a major modern military and economic powerhouse. This period, referred to as the Meiji Restoration 明治維新, included changes that are now seen as instrumental in making Japan a world power. In this post, I want to talk about script reform and the redesign of learning in Japan. In addition, there was wide regional variation in colloquial language across Japan. The situation was similar to that found in Qing China. Japanese from different parts of Japan could speak with each other only with difficulty or not at all. Also, pronunciation of written forms differed from region to region. So it was with a hugely difficult rhetorical style and a largely unstandardized script that Meiji Japan began its odyssey in the modern world. The Meiji Restoration introduced a huge number of new changes into Japan. Some of these things were scientific and technical objects brought from the West. Others were concepts and ideas completely foreign to Japan. The Meiji brought about political reforms changing the relationship of the citizen with the state and economy. Citizens would no longer be peasants and instead were transformed into workers and consumers under industrialization. The older script and writing styles could not handle expression under these new conditions. The observation that every advanced nation of the time used a phonetic alphabet had a huge impact on script reform. The obverse of this is equally as true. European languages have undergone enormous change to suit the demands of modern production and education. It would not be possible to have a modern society with the language situation of Norman England. Society as we think of it demands rulers who can speak directly to their citizens. It demands a citizenry who can freely take part in production. It demands a language that is hugely flexible to meet the needs of a society that has change built into its fabric. All of this entails a high level of citizen literacy and hence a language that can be taught in a public school system by marginally educated teachers. The writing systems of feudal Japan were none of these, and the only model available was European languages. Over the course of the next few decades, Japanese intellectuals and officials debated a whole range of reforms. These included organized groups that advocated the use of various phonetic alphabets, as well as combinations of these alphabets with Chinese characters to transcribe colloquial speech. You can read all about this in Christopher Seeley’s book, A History of Writing in Japan or from the source of all truth, Wikipedia. The significance of these reforms for me is not just in the ingenious solution that these thinkers devised. Students of the contemporary Japanese language rightfully complain about how awkward the script is to work with. But in fact, as a solution to problems presented by Tokogawa Era script, the current combination of Kana and Kanji is brilliant. The real issue for me lies in the inspiration that lead to these innovations. In her history of the Genbunitichi (言文一致), that saw the transformation of classical Japanese into it modern form, Nanette Twine (1978 p. 355) discusses how Meiji Period scholars devised the systems that evolved into modern Japanese script. The Genbunitchi movement after 1866 was in no sense the result of a natural evolutionary process; rather, it can be seen as stemming from one of the many catalytic ideas imported from the west about that time. Had Japan remained in isolation, traditional styles would doubtless have maintained their dominance and the colloquial would have remained confined to popular literature and occasional evangelical or instructive texts. Once the Genbunitchi movement and its attendant advantages had been observed in other countries, however, it became merely a matter of time before an attempt was made by progressive thinkers to introduce the movement into Japan. Twine’s interpretation is that the modernization of Japanese writing was directly the result of Western influences. Thinkers and officials of the time modeled modern Japanese after European languages. The concept of an alphabetized writing system based in colloquial speech was derived directly from these Western models. Without their use as a model, there is little reason to believe Japanese reform would have moved in this direction. In fact, these changes were incredibly difficult to implement and stylistic restructuring of language use continued into the middle of the 20th century. The problem of Western influence has come up before on my blog. As Michael Turton has pointed out, critics are extremely selective about the examples they choose to illustrate their case. No one ever points to the Meiji Restoration as an example of what Western influence can do, when, in fact, history offers few better examples. In the past, comments on my blog have raised the issue of imperialism in education. The claim is that ‘Western imperialism’ is shaping education through the new force of commercial education. My position on this is that imperialism is related to empire, and as such, this is incorrect usage. A more accurate term would be neocolonialism. The concept of globalization is only poorly understood. The Japanese only reluctantly accepted their place as modern citizens in a world power. There was staunch resistance from displaced feudal lords who were yet to find their place in the ruling class. Initially, in a chapter of the Meiji that is generally forgotten, there was open war with the forces that opposed Restoration. At the time, it was not at all clear that opening up to change was the correct choice. There are probably few alive today who doubt this was the right choice, even for the families of the displaced samurai who were slaughtered. But even late into the 19th century, cultural elites continued to resist script and rhetorical reform. I have argued that if Taiwan is to survive the changes of this century we need to adopt educational principles developed by people with a very different history and culture. The failure to do this will leave us at the mercy of economic architects with much more power to shape globalization. While I am not sure we are making the right choices, it’s clear that such choices have to be made – and that is why I applaud the efforts of the Second Global Higher Education Forum (GHEF2009). But if there is anything that history has taught us, not making these choices is wrong.